There is a saying that 90% of problems can be solved by one thing, and that is money. Money, or lack thereof, is the source of so much stress in relationships. Therefore, this also can be an area where you can build a much stronger relationship if you take the time to address the issue of finances. Although I am not a financial expert, my goal is to provide you with a process that is simple, yet hopefully effective in helping you find a financial advisor. I’d also like to help you avoid some pitfalls as you find the right person to serve you and your spouse with achieving financial independence. 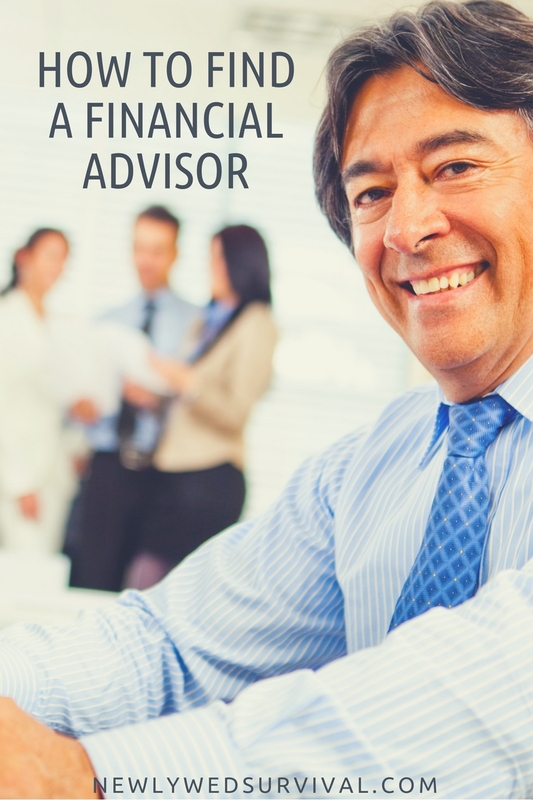 Why is a financial advisor important? Before you start searching, make sure you and your spouse are both on the same page. The importance of obtaining a financial advisor as both an expert and as unbiased outlook for your long-term investments needs to be recognized as a necessary action by both of you. If your spouse needs some convincing, go over the following ideas. They can explain what your financial decisions will mean for your future. For example, if you receive a lump sum of money, should you go out and buy a fancy new car or boat? Or should you put some or all of it towards your retirement? Another example would be deciding if you should borrow against your 401k in order to finance your wedding, buy a house, finance college, or even just to pay off some debt…this is another thing that hurts your retirement savings. A financial advisor can explain why you may not want to do these things, and make suggestions for alternatives. They can keep you from making mistakes. Everyone knows a famous person or two who made a ton of money and lost it because they did not seek a financial advisor or didn’t listen to him. Some that come to mind include Mike Tyson, Johnny Depp, MC Hammer…and even some lottery winners. If they only would have listened to a trusted advisor they could have been in good financial shape for life. They have access to resources you simply do not have. Plus they have the TIME to focus on your portfolio that you may not have in your day-to-day life. After all, this is their full-time job. 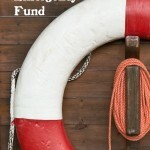 Seeking and using a financial advisor takes the financial pressure off you and your spouse. This leads to a healthier, less stressful married life. What process should you use to find a financial advisor? Get a list of nearby financial advisors in your area. Check out their websites and learn what you can about each one. Call and ask a few questions if needed. 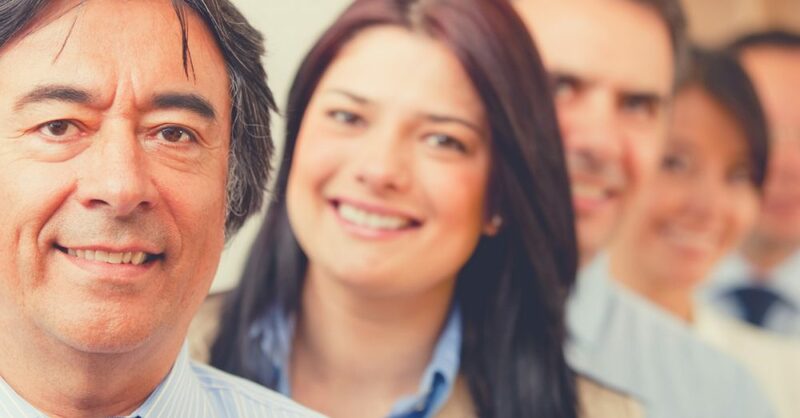 If your spouse isn’t interested in this process, this step can be something you do on your own to help reduce the number of advisors you speak with in person. Do they have the necessary credentials? There are so many titles for financial advisors, so make sure that you are hiring a person who is certified. Become familiar with the certification acronyms and decide what you are comfortable with in your advisor. Our advisor ended up being a Chartered Financial Consultant (ChFC) as well as a Chartered Life Underwriter (CLU). Does it seem too good to be true? Avoid any that just “do not feel right,” such as those presented by people of the likes of Bernie Madoff— the simple adage that if something seems too good to be true it probably is, should be used. Do they try to lure you in with “free” things? There are advisors out there who provide free seminars – sometimes even offering a free meal or even a hotel stay in order to trap you to sell you their line of ideas. Remove these from your list and save yourself some time. Note: almost all advisors will offer a free consultation visit, so this free visit shouldn’t be a red flag. Can they help you for years to come? Look for time-based succession in the firm you choose. For example, a friend of mine invested with an older guy and was doing financially well for 5 yrs, but then the advisor passed away and there was no one in the business to take over. My friend had to go somewhere else and start the whole search process over again, losing valuable time and creating unnecessary stress. Are they able to deal with various types of investments? Or is the advisor limited in some way? For example, there are financial advisors out there who only invest in life insurance-based products. The problem with this is that you cannot get out of them without paying a huge fee. They also tend to have a lower rate of return than other possible investment avenues. The objective is to whittle down your list to the top 2 or 3 ones and plan to visit each of these for a one-on-one discussion. You should try to meet with more than one adviser so you can make a comparison. 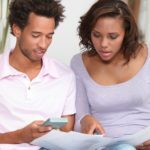 Related post: Financial To-Do List for Newlyweds – Get Started on the Right Foot! First and foremost, you want someone who could work well with you and relate to you. You need some common ground, some personal chemistry. Also as mentioned earlier, it is better to have someone in your location or vicinity. Next, when you are interviewing the advisor, you want to keep it at your level of financial understanding. Don’t try to reach their level because they know too much and it is a good way for them to hide in the technical jargon. Force them to speak in simple terms. If they don’t try or are unable to do this, it is a RED FLAG. How often will you meet with us? Will it be in person? You want your advisor to meet with you on a regular basis, such as once a month, once a business quarter, even once a year is okay as long as you are comfortable with that. You probably want to avoid a Reports Only Approach. Receiving reports online or mailed to you or simply given to you in haste during a choppy-short meeting is not the way to go because these reports are lengthy and difficult to understand. What you want is more of an Executive Summary because it gives the high points of what’s going on as your advisor sits down to discuss your portfolio. How do you get your portfolio recommendations? Does she go out on her own or does she use a service, such as Asset Mark (financial service available only to financial advisors)? If she goes on her own, what is the method she uses to select the funds and what general type of funds does she use to make her own personal picks: Individual stocks, mutual funds, index funds, ETFs, and so forth. One way to keep this process simple is to see how the performance is going by asking, when do I make money? How will you be paid? Will your advisor make a commission or charge a fee? What will this be based on? How often will you be charged the fee? Will the advisor charge extra for additional meetings or phone conversations? What kind of return have you been getting? During the interview, ask for their rate of return history. Note: be prepared for them not to show this because they typically do not want to reveal the information. This is not necessarily a red flag but does indicate you may need to do more interview work. You want the information from their process that you would typically get from MSNBC on how the market is doing, which provides basic market information. You want to compare and ask them what they think of their performance. During my personal process, I brought my list down to two possible candidates. Both had similar backgrounds and credentials. One was smaller (a solo guy who used a possible partner to take over in the advent of his passing) and the other a little larger family business. I chose the latter because he seemed to have more resources, including an eager 29 yr old son who was helping him run the business and is slated to take over someday. If you’re having a hard time deciding between two advisors, you may want to have a trusted third party look at your process. I had my dad come down and sit through the interview process for the final decision. You may also consider testing the final two advisors. Have each of them manage $2,000 for a certain time frame and see who does the better job; what kind of return you’re getting and how you’ve enjoyed working with each one. You and your spouse should treat the process of finding a financial advisor as an adventure to delve into together. 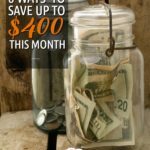 It will help you grow together and hone your financial goals, an all-important topic in practically all relationships. Did you and your spouse find a financial advisor? How did you find him? Have any tips to add? Let us know in the comments. Did you like this post? Why not share with your friends on social media using the buttons below? It would make our day!